The solar calculator will allow you to see what size system you need and how much you can save by swtiching to solar. We only use the quality Tier 1 panels with all installations, to ensure you have the best productivity from your system. Our installers are accrecited with the Clean Energy Council, so you’re guranteed a professional install every time. The brands we recommned come with Australian based warranty, giving you peace of mind if your system fails you will be protected. We can install solar anywhere in Australia so contact us for a quote today and see how much you can save by switching to solar. We can provide a battery system which also offers blackout protection, so if the power goes out your not left in the dark. Our solar specialists can recommend the right battery solution for your energy needs,from 3KW to 9.8KW solutions. Solar is the cheapest and cleanest form of energy and you can harness the power of the sun to produce your own electricity. 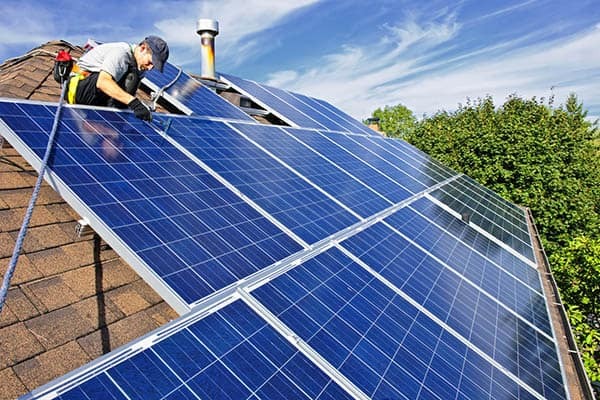 If you would like to understand how solar works please contact us and one of our solar specialists will explain the benefits of solar and we offer a free bill analysis to see how much you can save by making the switch to solar.